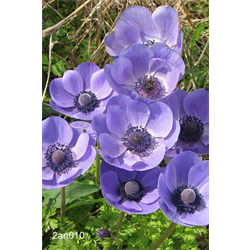 These anemone flower bulbs grow into showy, poppy-like flowers. If you live in a colder zone, store tubers over the winter and plant in the spring 2-3 weeks before last frost date. Pricing is per package and per variety for these anemone bulbs for sale (quantity discounts apply).